Help fund Kickstarter project Sound Through Sight! There’s a really cool new site called Kickstarter that allows people working on independent projects to raise funding through friends, family, and awesome folks around the internet. And better yet, funders usually get some really neat swag in return (i.e. an artist trying to raise money to record an album, will often times send it to a supporter for free). You are bound to find amazing people on this site–and given they are seeking help from the community, it’s fair to say most of them are extremely modest, unlike some of their industry “(insert mean word)” counterparts. 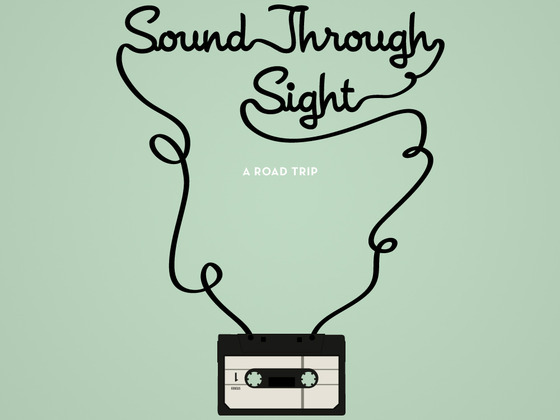 One project that gets a big IndieMuse stamp of approval is called Sound Through Sight: A Gonzo Road Trip to Understand Music In 2010. 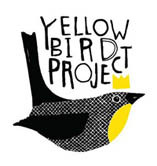 It’s started by Tom Williams (writer), Sarah Mulligan (photographer), and Rahawa Haile (filmaker). Picture Chuck Klosterman and Alexis de Tocquevillie joining Hunter S. Thompson, going not on a drug-fueled rampage across Las Vegas but on a trip of discovery across America, seeking to understand where music and the music industry stands in 2010, how we got here, and where we’re going. We are three passionate young music lovers who intend to do just that. To understand these questions and to look for answers, we are going on a Gonzo road trip, searching for insights and answers on the back roads of America. We will then write a book on the trip which attempts to answers those questions we just posed. We will also create a book of photography from our travels across North America and a short documentary about the music we encounter on this trip. If you have a few extra dollars in your pocket, you should consider helping out! A $15 donation will even score you a free copy of the book once it’s published! 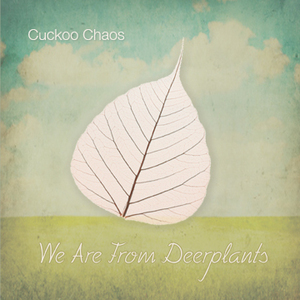 I’m really digging Cuckoo Chaos’ new EP, We Are from Deerplants. The band will be releasing their debut later in the year, and this is a sign of good things to come. 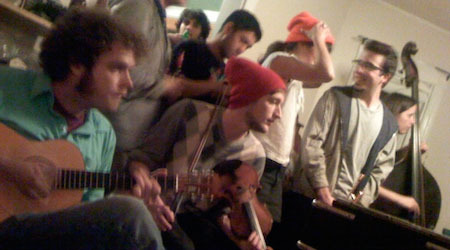 If you’e a fan of Devendra Banhart, The Bowerbirds, or that general folk sound, I highly recommend checking them out. My favorite track on the EP is “It’s Easy, Ya Know. ” It’s short and catchy, and among my favorite songs of the year. I’m also drawn to the tracks “Hymn Number Twelve,” and “Preparing for the Eternal Winter, We,” both of which creatively incorporate eerie, staticy voices to fully drive that lo-fi sound. Overall, just a solid EP. Keep your eyes on Cuckoo Chaos. Cuckoo Chaos is based out of San Diego, and is fronted by Scott Wheeler. 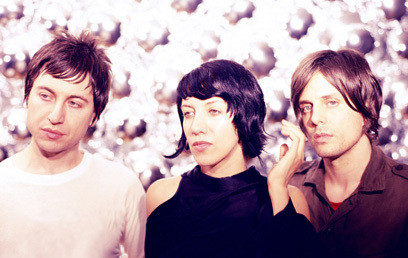 Six years have elapsed since Autolux’s last album’s release (which apparently went under the radar as it “never had much support behind it“), but Future Perfect still feels exciting. This lasting interest likely has a lot to do with the fact that this Californian trio takes influence from decades past and decades that haven’t even elapsed yet—their sound is simultaneously before and after. It’d be just as accurate to compare the band to My Bloody Valentine as it would to conjure up elaborate conspiracy theories that they’re actually a gang of robros from the distant future. Autolux have enough feedback-wrapped shoegaze to keep the nostalgikids happy, but the slick futurism of their whirling electronic flourishes helps keep them relevant. If you’re a fan of large, multi-instrumental bands be sure to check out Cuddle Magic’s sophomore album, Picture. It just released yesterday, and includes some great tracks. I might need to take a breather in between, but here’s the current roster in the band: Alec Spigelman, Ashley Paul, Ben Davis, Bridget Kearney, Christopher McDonald, Cole Kamen-Green, Dave Flaherty, (inhale-exhale), Eric Lane, Kristin Slipp, Lucy Railton, Max Haft, and Mike Calarese. Many of them got their training from the New England Conservatory. I highly recommend checking out Headless Heroes if you’re a fan of Beth Orton, Cat Power, or simply a fan of great cover songs. Headless Heroes is a group of established musicians who got together to cover songs spanning forty years. Artists covered include Daniel Johnston, The Jesus & Mary Chain, Nick Cave & The Bad Seeds, Vashti Bunyan, Linda Perhacs and The Gentle Soul. 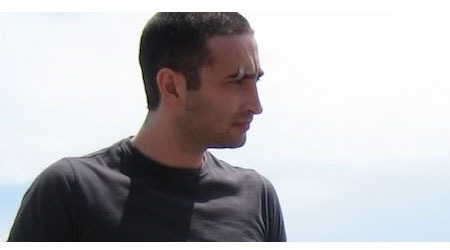 The album, called The Silence of Love, is the brainchild of producers Eddie Bezalel and Hugo Nicholson. They recruited talented musicians for the album, including Alela Diane, Josh Klinghoffer (Beck, Jon Brion, Red Hot Chilli Peppers), Joey Waronker (Elliott Smith), Woody Jackson, Leo Abrahams, and Gus Seyffert. Some of my favorite tracks on The Silence of Love include “Just Like Honey,” “The North Wind Blew South,” and “Blues Run the Game” (Nick Drake also has a great cover of this song). 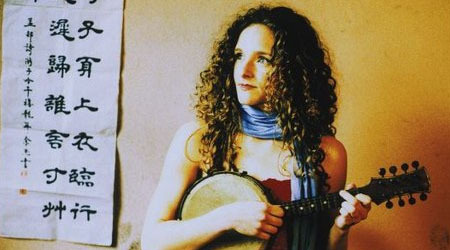 I immediately fell in love with Abigail Washburn’s song “It Ain’t Easy” after one of my friends shared it with me last year. I’m not all that familiar with her music, but I continually find myself going back to this song’s gorgeous vocals and instrumentals. Washburn has a pretty interesting background. She had no intentions of focusing her career on music, and as a hobby, experimented with a lot of different genres including R&B, gospel, and reggae. It wasn’t until a trip to China, where she immersed herself in the Chinese bluegrass culture, that this became her style. Her diverse background is apparent on her most recent release, Afterquake, which is an electronic/folk benefit EP she made with Shanghai Restoration Project’s David Liang (it released on the one year anniversy of the 2008 Sichuan Earthquake). About “Sala”: The Qiang ethnic minority (the group most impacted by the 2008 Sichuan earthquakes) traditionally dances around the fire while singing this song. The words contain no meaning and are simply meant to inspire dancing. 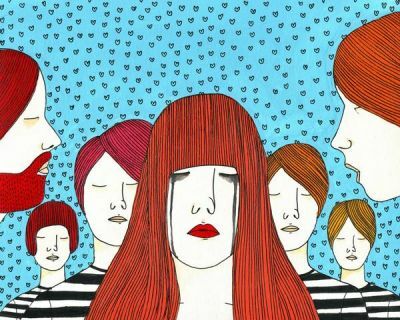 First feature by Alie, our new IndieMuse contributor. I have an unabashedly soft side for The Hits of Today: the Cyruses nodding their respective heads like yeah and all those single ladies (wuh uh oh). But after an extended session of top forties, I realize that the radio has really just been rhyming at me in glorified baby talk laid over sick beatz. And I’ve been singing right along with every ga-ga-ooh-la-la, because that is exactly what I’m supposed to do. But what about words? What about Scrabble-acceptable words used in beautiful, surprising ways? For these and other, non-linguistic reasons, I turn to musicians like Leif Vollebekk. It’s obvious that the guy has some sort of timeless troubadour quality, but what really warms me is his style of songwriting that is more hint than statement. Inland unfolds like a subtle run-on sentence, both musically and with inexplicably satisfying lyrics (The coming and going spirit’s in the door hinges / And I’m sitting peeling Suzanne’s oranges) that explode from nowhere, only to settle in quick and get comfy. So Leif Vollebekk, if you’re reading this, you’re triple-word score all the way. You know those people who are somehow good at everything they do? Yeah, those ASSHOLES. Well, Spencer Berger is one of them. He’s the screenwriter and lead actor in the award winning film Skills Like This, and now he’s taking a stab at music under the pseudonym Field. He’s an extremely talented musician, and even worse, a really nice guy. Field’s debut, Be Brave, is still in the process of being mastered, and will be released this year. The unmastered version is a sign of good things to come. Field’s music is among the most creative being produced today–a truly engaging sound that can’t be categorized in a genre other than saying it lies somewhere between Bowie and Flight of the Conchords. I’ll definitely keep you posed on the release date. In the meantime, check out the below tracks and music video, which will undoubtedly brighten your day. 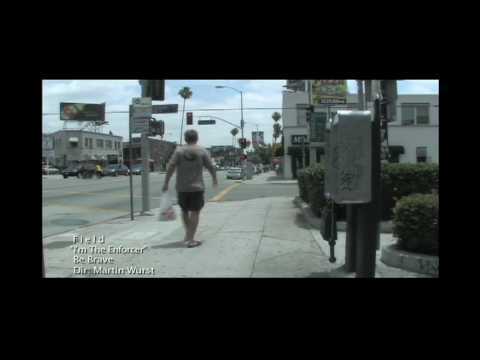 “I’m the Enforcer” music video. One of the best videos I’ve seen in a while.